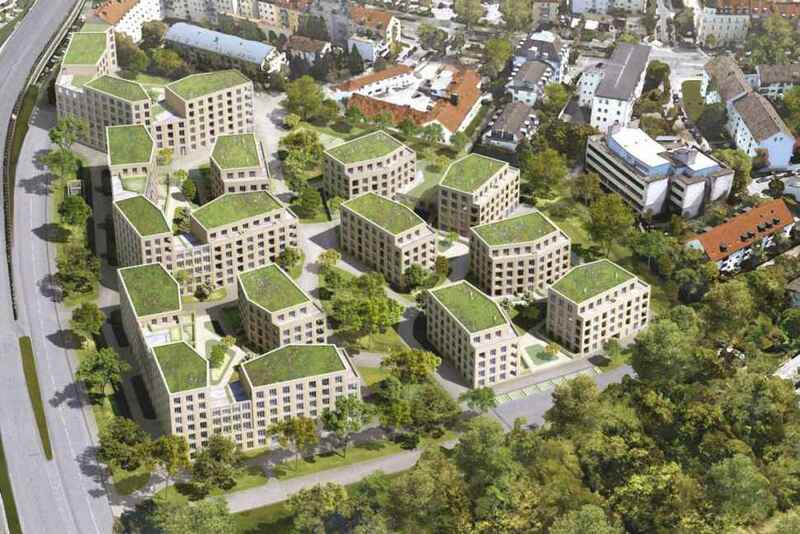 RESIDENTIAL QUARTERS AT FORMER OSRAM AREA MUNICH — The urban concept is based on the idea of creating an autonomous district - the Osrampark. 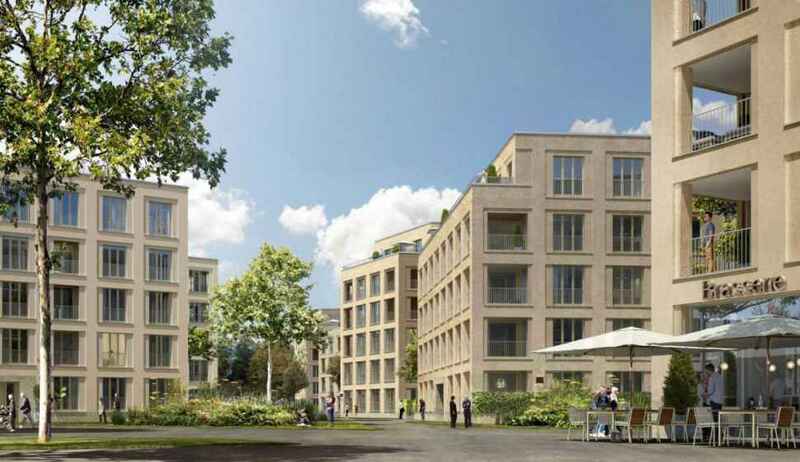 Its proximity to the Isar promise a high quality location. To generate a basic structure for the complex construction sites are defined. These are based on the Master Plan of Theodor Fischer and the clods of Isarauenparks - the same as extension. The light transmittance and arrangement in terms of green space will be the same for all households. There are polygonal buildings that combine with elevated building sites. 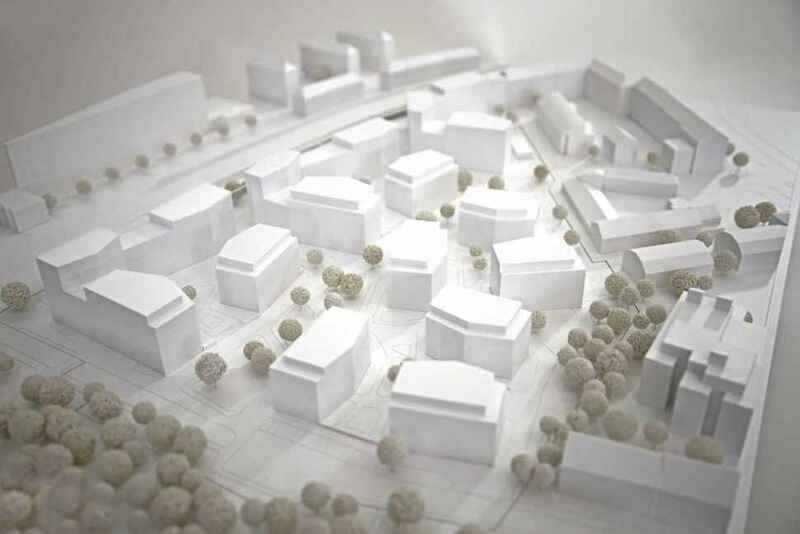 Their basic shape reflects the shape of the construction areas and is able to respond to the diversity of situations.